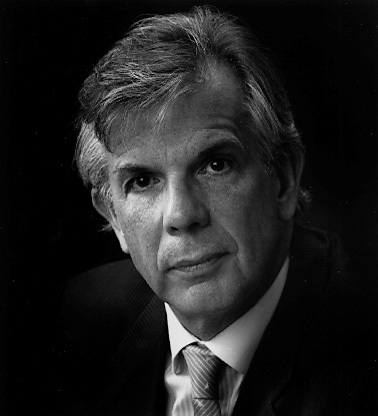 Christoph von Dohnányi was virtually unknown in the United States when he made his Cleveland Orchestra debut in December 1981. But he connected with the musicians like a long-lost relative warmly welcomed home. For the previous 18 months, the Musical Arts Association (which runs the orchestra) had been searching for a music director to succeed the controversial Lorin Maazel, who was scheduled to leave Cleveland in 1982 to head the Vienna State Opera. Dohnányi was born in Berlin on September 8, 1929, to a distinguished family with associations going back to Goethe, Brahms and Liszt. His grandfather, Ernst von Dohnányi, was regarded as one of Hungary’s leading 20th-century composers. His father, jurist Hans von Dohnányi, and his uncle, Protestant theologian Dietrich Bonhoeffer, were leaders of the German resistance movement that attempted to assassinate Adolf Hitler. Both men were executed by the Nazis shortly before the end of World War II. From an early age, Christoph took an interest in music, studying piano, flute and composition. After the war, he enrolled as a law student at the University of Munich. But his love of music prevailed, and he switched to the Munich Academy of Music. He later studied composition with his grandfather at Florida State University, and he honed his conducting skills at Tanglewood, where Maazel was one of his fellow students and Leonard Bernstein one of his mentors. Dohnányi spent the first three decades of his career in German opera houses, working his way up to top posts in Frankfurt and Hamburg. The highlight of his debut season with the Cleveland Orchestra was a spectacular fully-staged performance of Mozart’s opera, The Magic Flute, at Blossom Music Center, the orchestra’s summer home. The following year, the conductor presented Franz Lehar’s The Merry Widow, with Dohnányi's wife, German opera star Anja Silja, in the title role. He also presented concert performances of operas at Severance Hall, the orchestra’s winter home. A master of inventive programming, Dohnányi focused on central European classics and mainstream modern masterpieces, spiced with a mix of obscure works and contemporary compositions. During his 18-year tenure, he led the orchestra on 15 international tours, maintained its signature chamber-like qualities, hired superb principal players and made more than 100 recordings. By 1992, Cleveland had become America’s most recorded orchestra. In 1994, it was dubbed “the best band in the land” by Time magazine. Dohnányi planned to crown his Cleveland years with concert performances and recordings of Wagner’s massive four-opera cycle, Der Ring des Nibelungens. But because of the meltdown of the classical recording industry, the ambitious project was not completed.